Currently benched pending a psychiatric review, Detective Locke is at a crossroads. On the one hand, he’s got a surly partner- an issue complicated by the fact that the partner, Spencer, is a seven foot tall anthropomorphic talking panther & Locke’s childhood imaginary friend- urging him to get back to work as fast as he can and by whatever means necessary. On the other hand, there’s the new motivation for Locke to take things a little more slowly than he normally would, to make sure the proper steps are followed and everything is above board. That motivation being his recently discovered daughter, Hero, who’s currently sitting in foster care waiting for her dad to bring her home. Man, it kinda sounds like a good time to just chill out and take a breather, doesn’t it? Sorry, kids, but there’s a new player in this particular City of Sin, his name is Roach Riley and he’s on a mission. 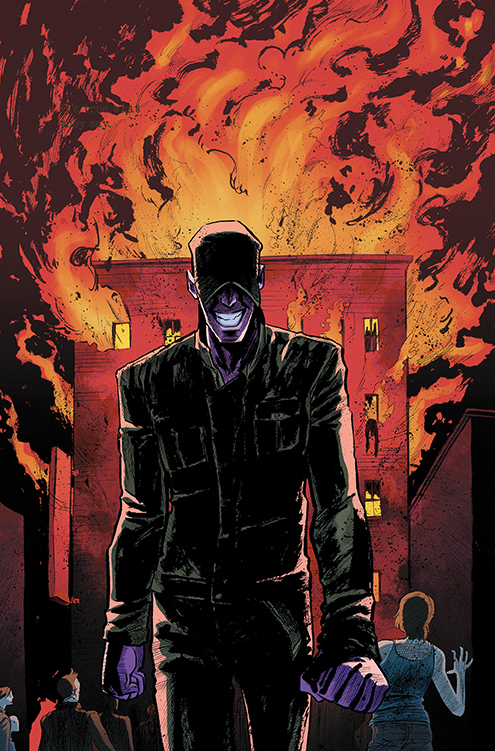 There are a few city officials out there in desperate need of killin’, and when Riley brings his brand of high caliber mayhem to bear it’s going to get a little hot out there on the streets. 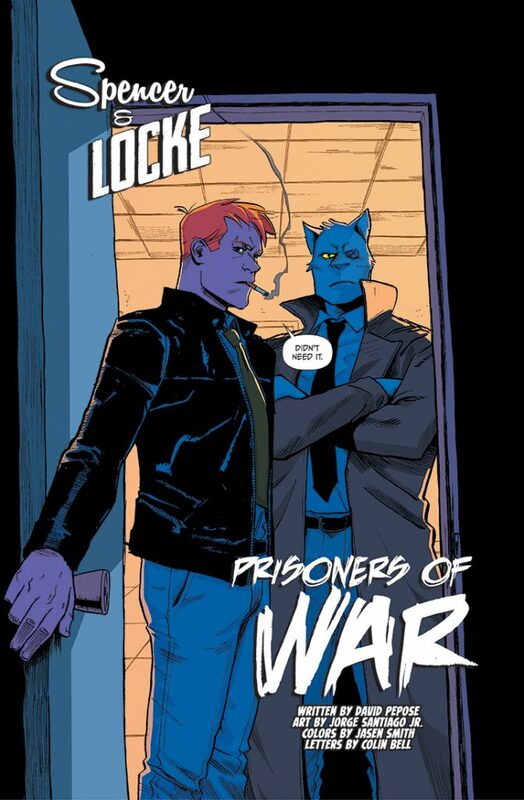 Not a great time for Spencer & Locke to be sitting on the sidelines. 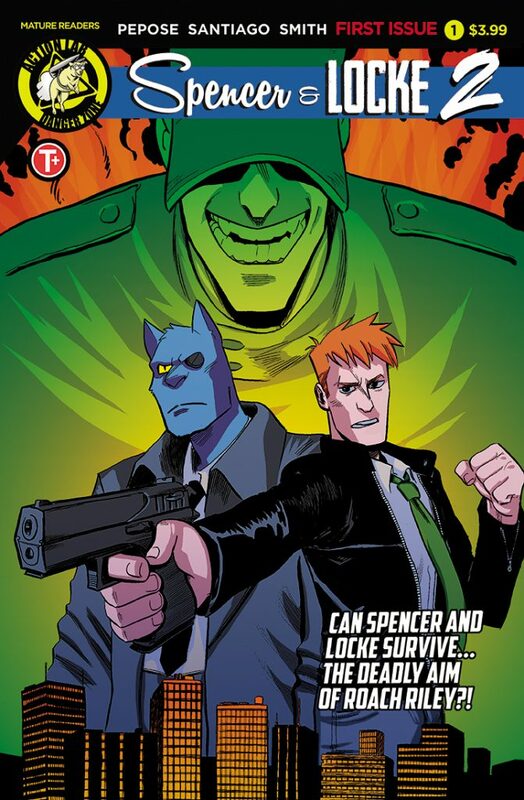 Since the first instalment of Spencer & Locke, I’ve been waiting ever so patiently for the follow up sequel. Having picked up the first issue at C2E2 from the hands of writer David Pepose himself, I wasn’t disappointed. Like all true sequels, this story arc is off to a fast start and the stakes look to have been raised substantially. Not only do we have our heroes paying the price for the mayhem of their last case (fair point, they did leave an awful lot of mutilated corpses in their wake), but we also have another unbalanced refugee from the Sunday funny pages making his presence felt. Once again, Pepose has taken the innocence of a much loved comic strip character, torn it to shreds and shoved the twisted pieces back together to serve his needs. This time around happy go lucky ne’er-do-well and reluctant soldier Beetle Bailey has also been given the treatment. 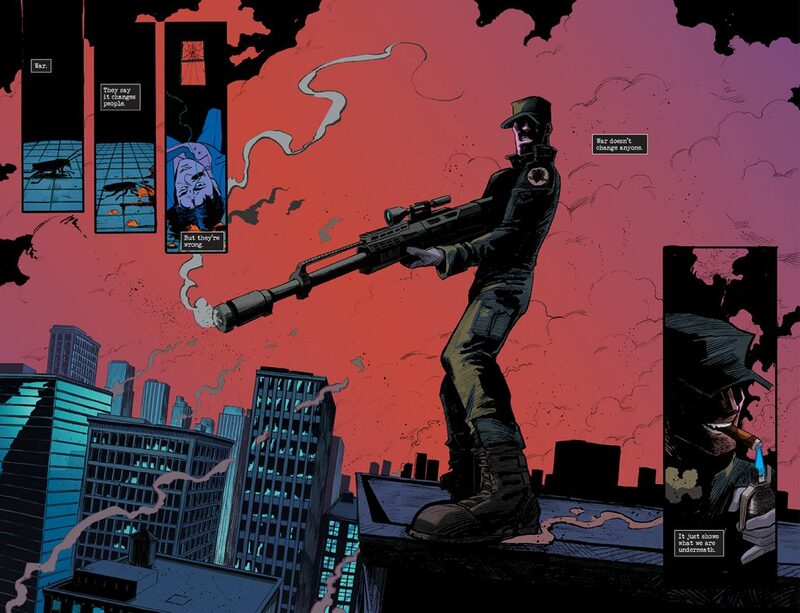 Gone is the shiftless loafer who really had no business at all in the military, and in his place is a guy who could give Frank Castle himself a run for his money in the wanton violence department. So far, we’re given no real clue as to what Riley’s goals are, but we do know that he’s not going to let a shell-shocked cop and his imaginary friend stand in his way. 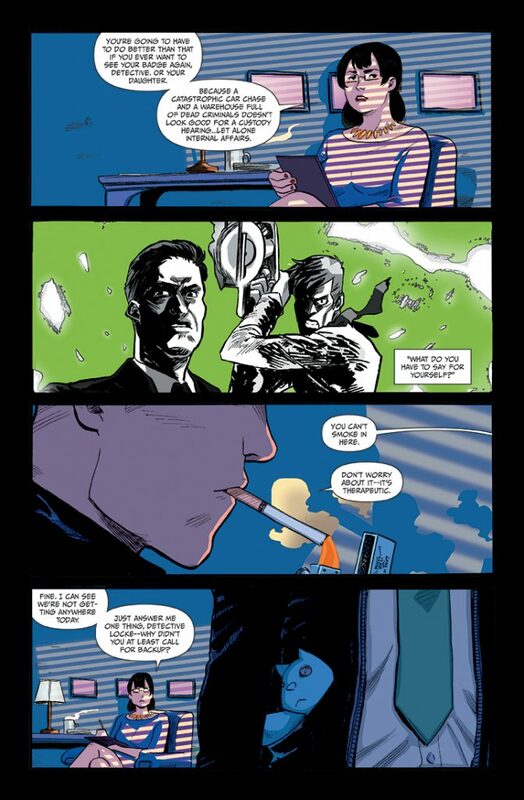 In keeping with the source material and the high bar set by Spencer & Locke’s first arc, artist Jorge Santiago Jr has pulled another great rope-a-dope on readers. 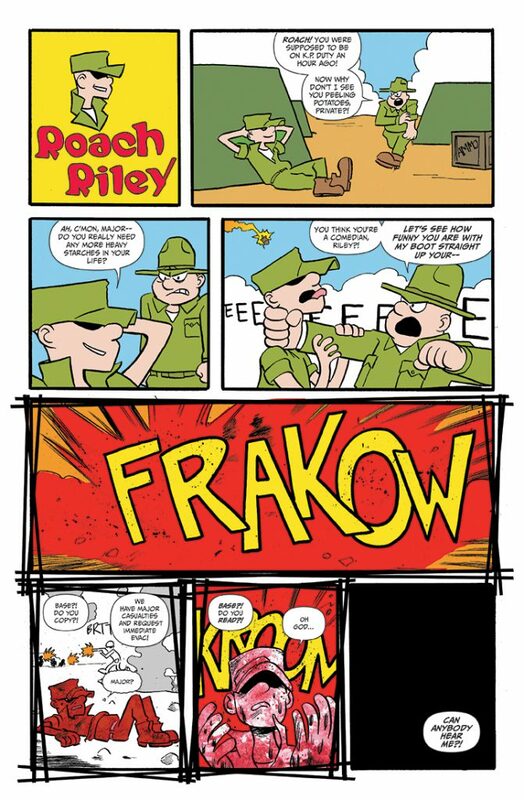 The first issue starts out in the classic Beetle Bailey style, with the bombastic character of the Major browbeating subordinate Private Riley over the lack of potato peeling being accomplished. By the end of the first page, things start to turn and the style morphs into what we’d expect from this creative team. Santiago’s work lends itself well to this kind of storytelling, having a more laid back appearance to it that’s completely at odds with the sudden eruptions of mayhem. 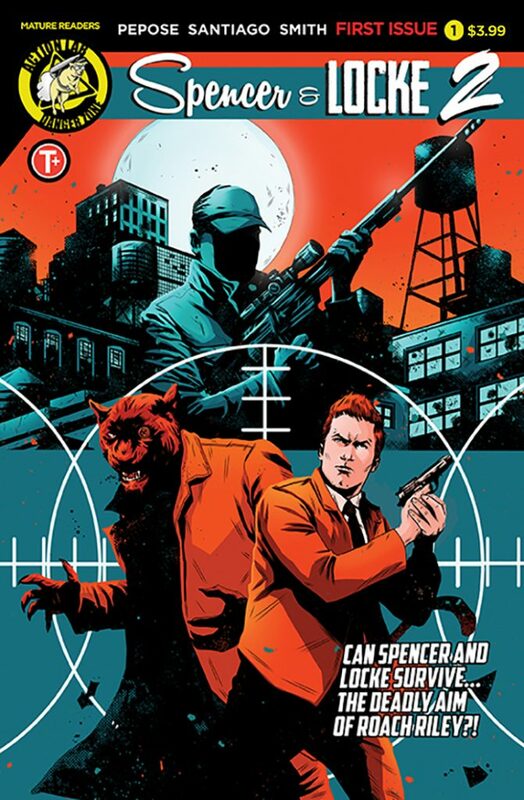 It’s in that contrast that Spencer & Locke works as a story, especially when we’re given flashes of the old comic strip style through the action sequences. 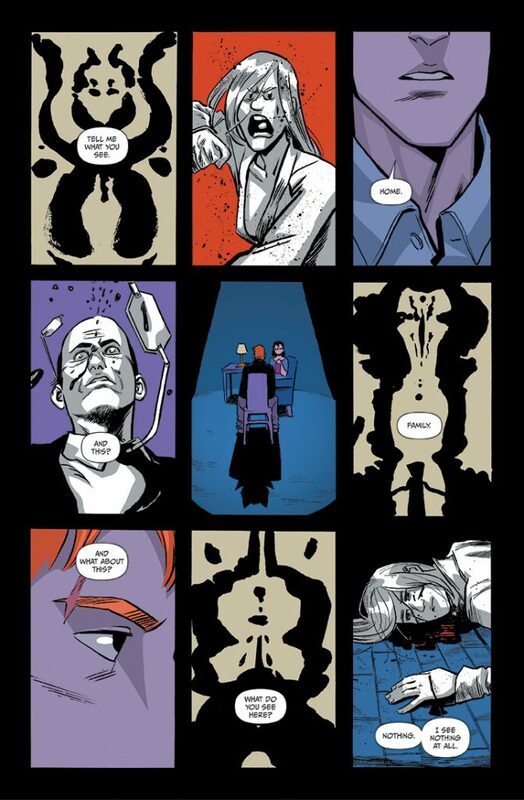 The work of colorist Jasen Smith has a lot to do with the impact of Spencer & Locke. And I mean impact. Not a page goes by that doesn’t benefit from Smith’s touch with the palette. It’s a stark world inhabited by Detective Locke and his partner Spencer, and that world is given depth (not to mention depravity) by the colors involved. 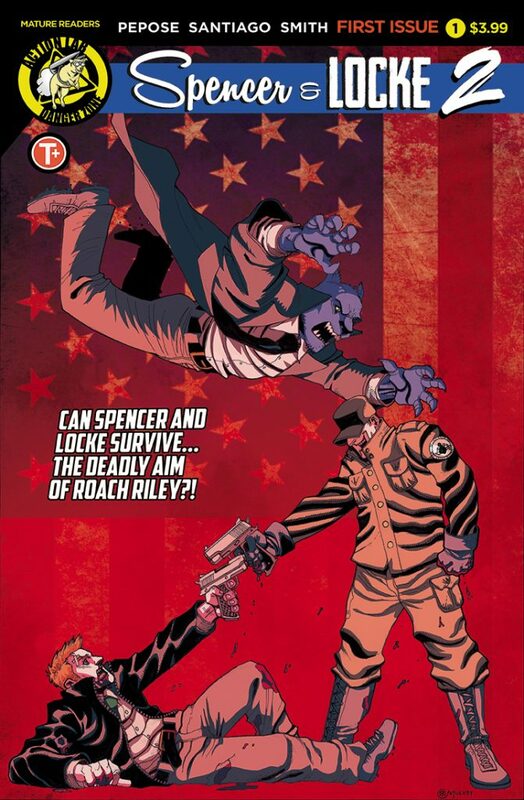 Spencer & Locke is a personal favorite of mine, and has been since its first appearance, through multiple readings. This is the kind of “overnight success” that only comes from hard work and persistence, and it’s been pretty cool seeing the thing take off from the start (word is there’s an animated feature in the works, so fingers crossed for the next big step). Far from the nostalgic pandering of which I’ve seen the story accused, it’s a well thought out and totally original “what if?” spin on things. Sure, we might feel some nostalgia for the beloved characters referenced in Spencer & Locke, quickly followed by soul searing shock at the horrors inflicted on them. 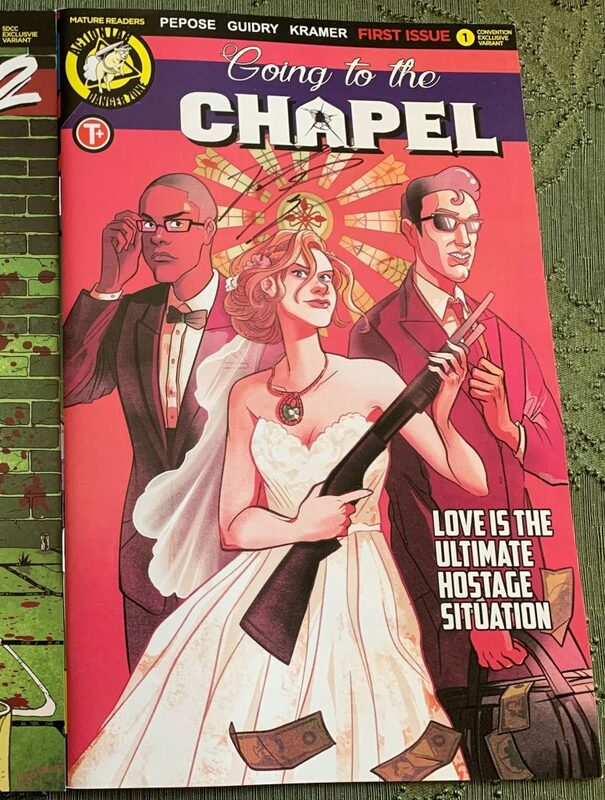 Coming soon from Action Lab, keep an eye out for Going to the Chapel!